Description: One of Marvel's smallest heroes with the biggest heart! 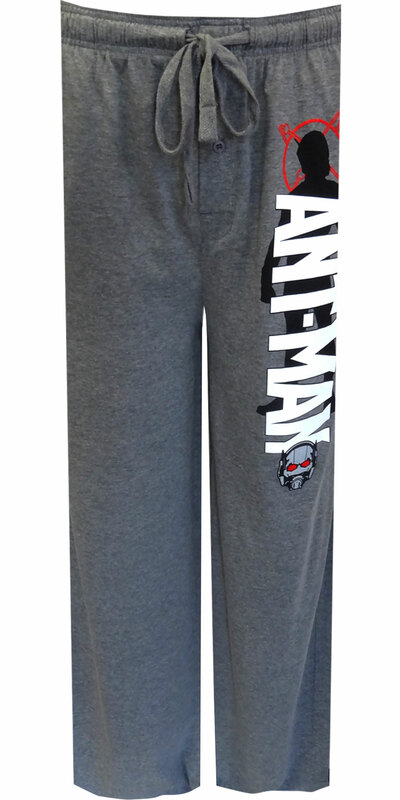 These lounge pants for men feature Marvel Comics' Antman character on a gray background. Machine washable with button fly and covered elastic waistband with drawstring tie. Pajama pants have two pockets. As usual my kids love the clothes I purchase from your website and the quality of material is good. Delivery time from USA to Australia is good also. I only wish there was some where in Australia I could get them.